The West Moberly and Prophet River First Nations are pursuing legal action over the Site C dam with the goal of stopping the dam completely. They argue that the exercise of rights protected by Treaty 8 requires the protection of the Peace River Valley. Until the case is resolved, they have asked the court to suspend construction in key areas. We expect the court’s decision to be released in the coming weeks. In the meantime, Adrienne Peacock has provided this guest blog shining a light on the problem of mercury contamination of fish, one of the issues raised in the court case. Adrienne Peacock worked as a consultant to the Peace Valley Environment Association, 1981-82. She has a PhD in Zoology (UBC) and taught environment science/biology at Douglas College for many years. West Moberly and Prophet River First Nations have been in court seeking an injunction to halt work on the Site C dam until their case for infringement of Treaty 8 can be heard. One of the many contentious issues is the possibility of mercury contamination of fish, particularly preferred eating fish – top predators like bull trout – in the Peace and its tributaries, as a result of the mobilization of mercury in the flooded areas. 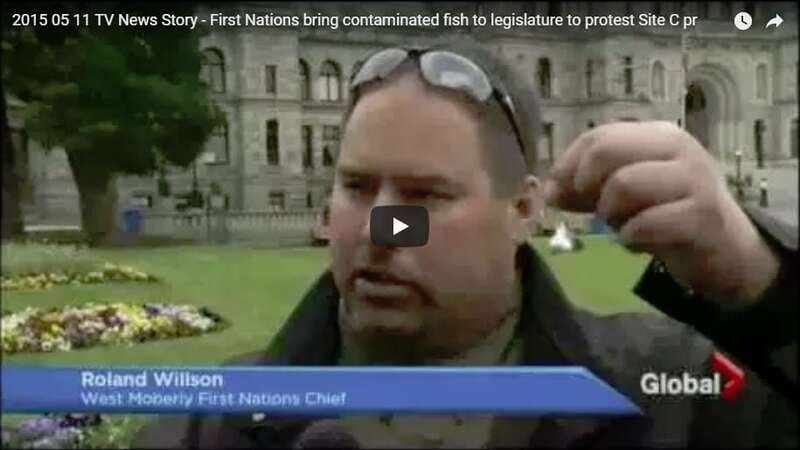 On May 12, 2015, West Moberly Chief Roland Willson delivered 90 kilograms of bull trout, a preferred eating fish, to the BC Legislature. The West Moberly and McLeod Lake bands had received the results of a study which examined 57 fish taken from the Crooked River, a river where fish migrate from the Williston reservoir. Ninety-eight percent of the fish samples contained mercury levels above provincial guidelines (above 0.5 parts per million, or ppm). In court, BC Hydro claimed that mercury levels are now within acceptable limits and argued that the judge does not need to consider mercury biocontamination because 1) such bioaccumulation won’t happen until after inundation, hence not relevant to this injunction and 2) it’s a matter of moderation in consumption. They have not explained how their results are so different from the 2015 study. Methylmercury concentration in fish has been known since the 1970s and it is of great concern for human consumption of fish. Methyl mercury poisoning is known as Minamata disease, because mercury contaminated fish in Minamata, Japan, resulted in 46 deaths and hundreds of serious afflictions, from mental disability to crippling paralysis. Low level mercury toxicity is often difficult to diagnose because it can cause subtle nerve disorders. Mercury is transformed from an inorganic form to an organic form that can enter the food chain when bacteria in soil and vegetation are flooded as a result of dam construction. The organic form then accumulates in each level of the food chain, with the top predators accumulating the most – bioaccumulation. The issue is sufficiently serious that the province has fish consumption warnings for bull trout and dolly varden taken from the Williston reservoir (Healthlinkbc.ca). In 1982, at the first British Columbia Utilities Site C Hearings, the Peace Valley Environment Association presented evidence, which was apparently new to BC Hydro at that point, that creation of any reservoir is likely to result in predatory fish mercury levels in excess of the Canadian marketing standard of 0.5 ppm. 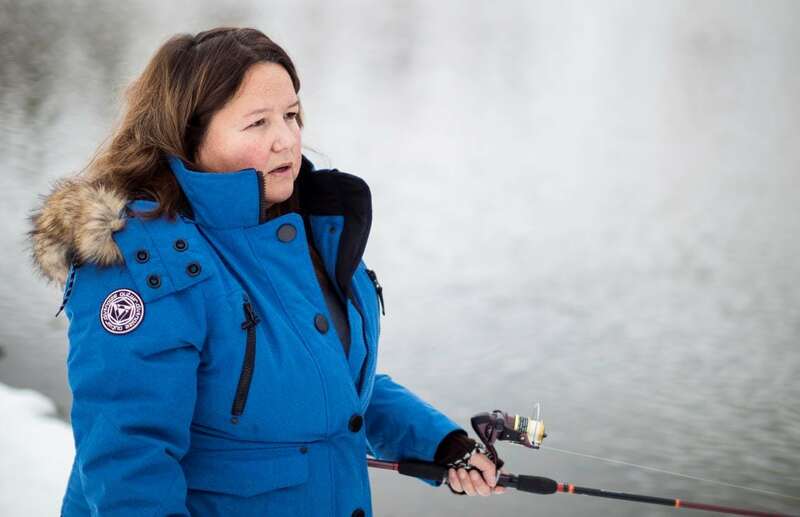 Yvonne Tupper of the Saulteau First Nation fishes in the Peace region. Fishing is an important aspect of Indigenous cultures in Treaty 8 territory. An advisory for Health Canada recommends that consumption of mercury contaminated fish be limited to one meal per week for adults and much less for children and women of child bearing age. At the press conference in 2015, Chief Willson held up a small candy, a foil-wrapped Hershey’s Kiss, to illustrate how much fish a woman of child bearing age could safely consume from the Crooked River, based on the levels of mercury found. This elevated level was found 50 years after the creation of the Williston reservoir. Scientists have debated how long it takes reservoir fish to return to pre-impoundment levels of mercury. A recent published study from Quebec1 concluded that in fish-eating fish, that is, predatory fish, mercury levels were up to 8 times higher in reservoirs than in natural lakes and generally took 20-31 years to return to pre-impoundment levels, if there is no additional flooding. In non-fish eating fish, the return to natural levels of mercury seems to be much faster, 10-20 years. In the online journal, scientists1 suggest that certain reservoir characteristics play a major role in determining the intensity and duration of after-impoundment mercury increases in fish, characteristics such as: flooded area, annual volume of water flowing through the reservoir, filling period, water temperature, and percentage of flooded area located in the drawdown zone. In other words, there are a lot of variables that could affect the timing of a return to pre-impoundment levels of fish mercury. 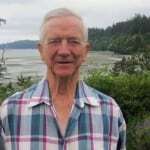 Dr Drew Bodaly, presenting expert evidence for the PVEA in 1982, was able to predict that even a 2% increase in surface area is sufficient to cause a mercury problem.2 The Site C impoundment would result in a 50% increase in surface area. And with the continual sloughing that is expected in the Site C impoundment (and is seen now along the river and in the Williston reservoir) there will be continual flooding of new soil and vegetation. BC Hydro has been studying the problem3 and the situation is not quite as clear or benign as their lawyer presented in court. For example, bull trout at 700 mm in length tested about twice as high as levels allowed to be sold in grocery stores. There is clearly a lot that is not yet known about the accumulation of mercury in fish. If Site C goes ahead, fish might have to be off the table for Chief Willson, and anyone who wants to eat fish from the Peace system, for many, many years to come. Find out how you can help support West Moberly and Prophet River First Nations at witnessforthepeace.ca. Call on Prime Minister Trudeau to stop Site C construction. Feature image: Peace River Valley by Louis Bockner.